Find the circumference of the circle if the lengths of the legs of the inscribed isosceles triangle are . 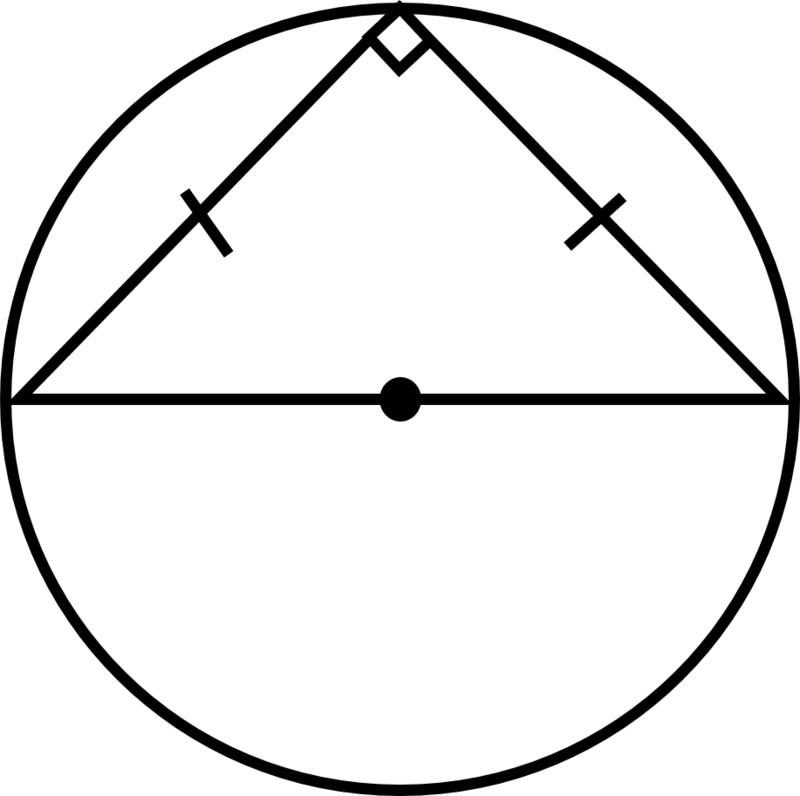 Notice that the hypotenuse of the triangle in the figure is also the diameter of the circle. Use the Pythagorean theorem to find the length of the hypotenuse. Substitute in the length of triangle’s legs to find the missing length of the hypotenuse. Substitute in the value for the diameter to find the circumference of the circle. The University of Texas at Dallas, Bachelor of Science, Psychology.